On our way to the pension house from the airport, we came across this banner welcoming people in the city. 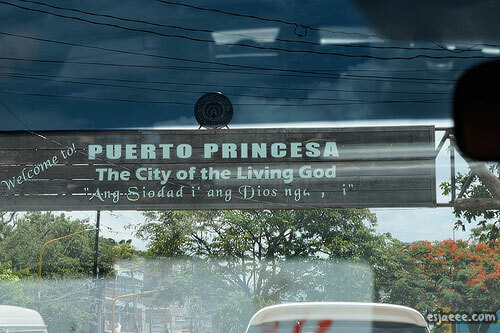 According to our tour guide, Puerto Princesa was named "The City of the Living God" due to the Puerto Princesa's beautiful attraction created by God. They believe that God is so alive that He created such beautiful masterpieces. I really enjoyed this idea and I appreciated it more due to my beliefs as well. It was about 1:45ish PM when we got to Angelic Mansion. 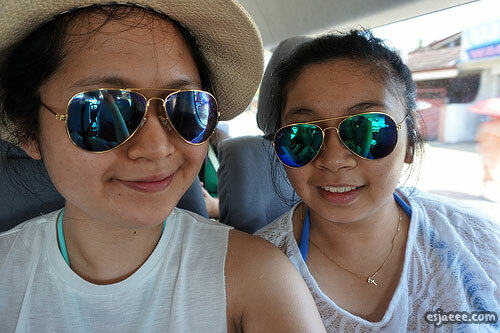 After checking in, we changed to our swimwear and packed extra clothes in our bags so quickly since the island hopping in Honda Bay has a time cut off at 2:30 PM. 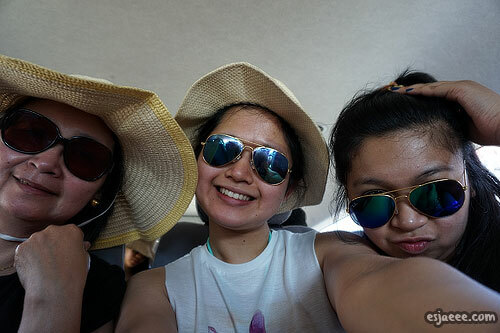 We just applied sunscreen in the van and took a bunch of selcas. 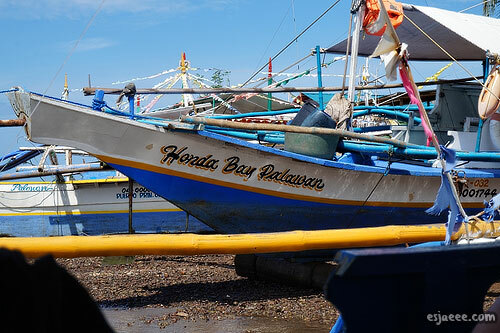 The driver took us to this place before going to Honda Bay. 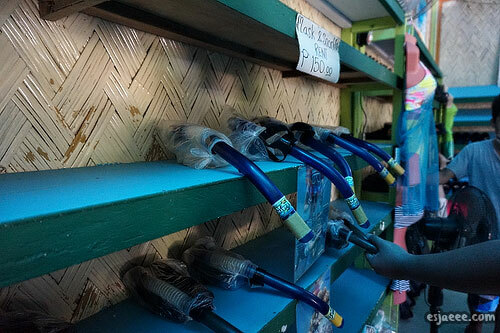 This place offers a bunch of snorkel gears for rent. 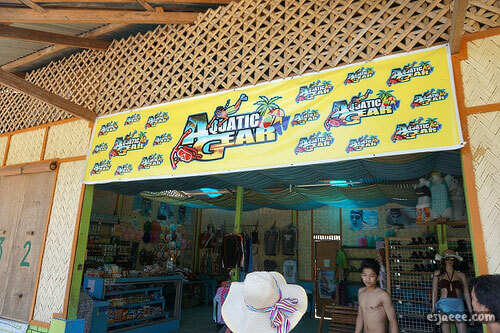 We were greeted by the staff and explained that all their gears were properly sanitized. 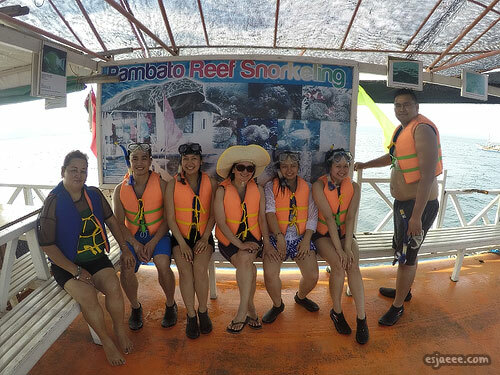 As far as I can remember, I think I paid PHP 150 for renting a snorkel gear and sea footwear to protect the feet from the sea shells. That would be around less than €3. 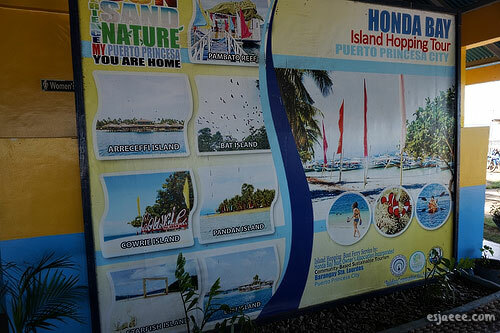 What I like about this place was that they give commission to the boat guides in Honda Bay. 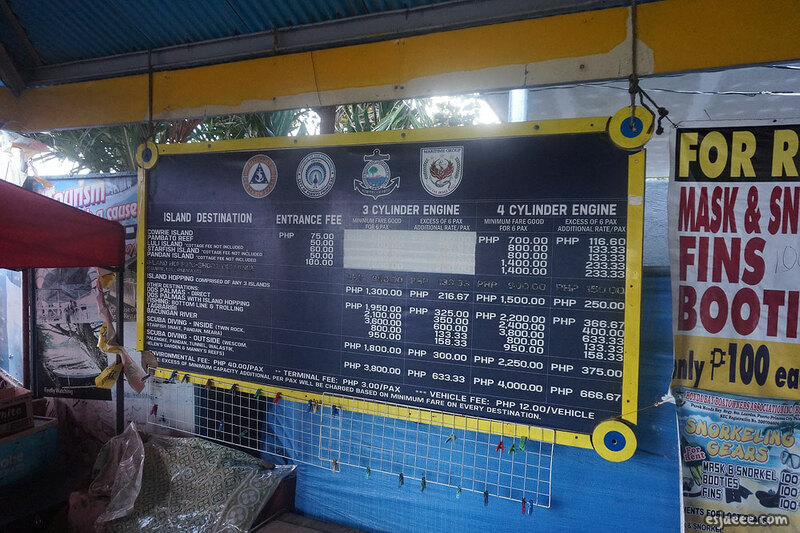 When we returned our gears, the staff asked us the names of our boat guides and the boat number since they would paya them a percentage of the rental fee we made. I like how they have this agreement since it would help boost their local economy! 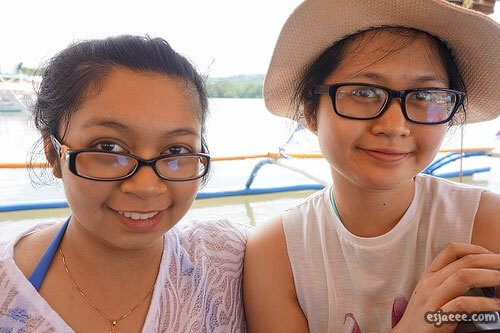 When we got to the reception where we got the boat rentals, I think we registered our names. 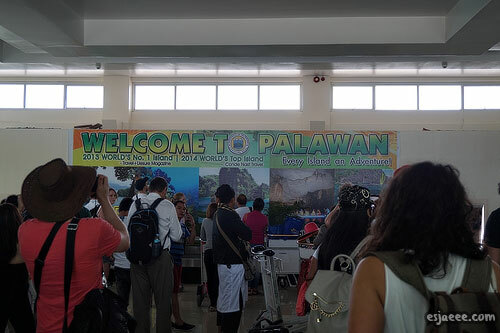 I could not remember if we paid at the reception or this was included in our packaged tour with AirYouGoTravels. A tip I would give to those who are interested in going here is to bring cash and a lot of it! 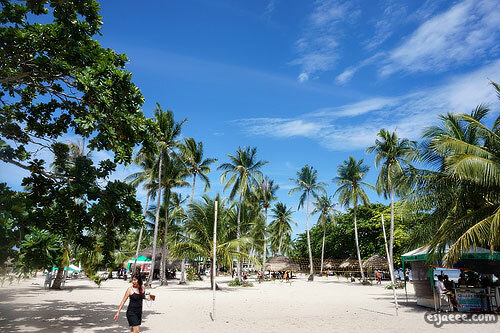 In each island, you would have to pay an entrance fee. It is really cheap however, the only form of payment they accept is cash. 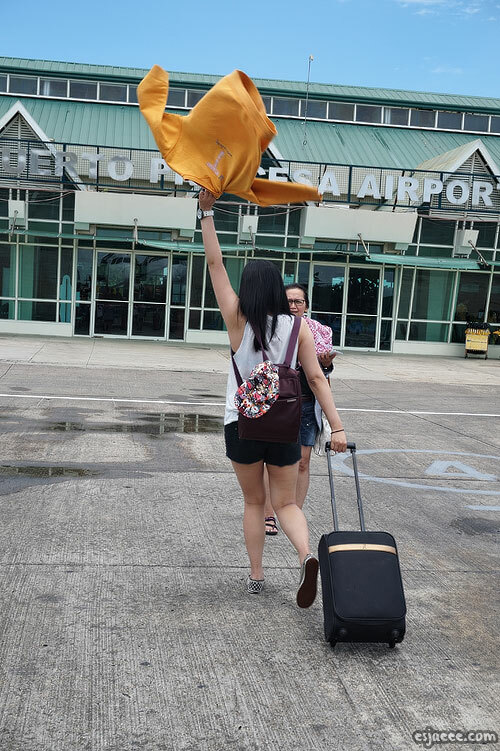 My mom felt like she was being held-up in every island we went. Even though the entrance fee was cheap, we were a large group that she had to pay for haha! The scenery itself was just beautiful. I am not good with handling the heat but I did not mind it at all because of the beauty I was seeing. 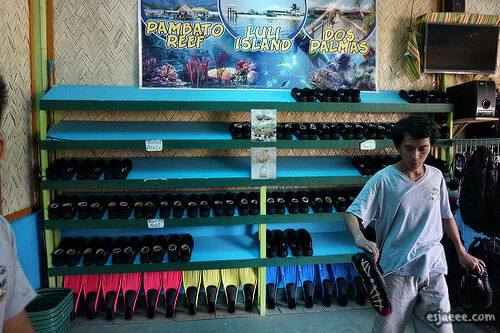 We were asked by the boat guides to put on the vests for safety reasons even if one of us could swim well. 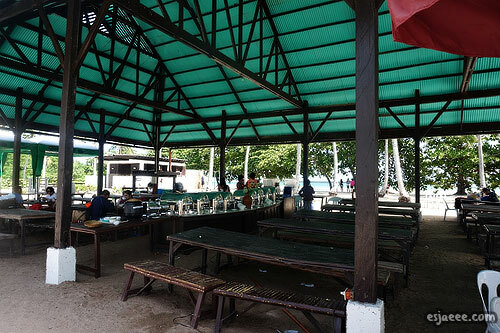 Our tour included a complimentary lunch buffet at Cowrie Island. 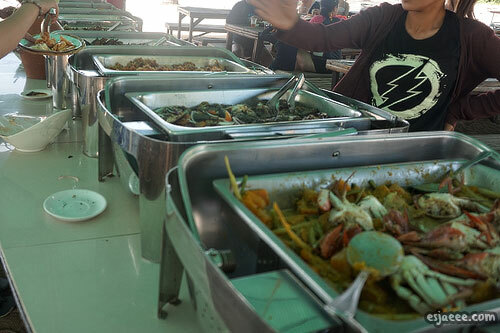 The food was not the best and was very limited in my situation since they had a bunch of seafood dishes that I could not eat due to allergy reasons. They had pasta though. I kinda wished that they had other Filipino dishes in their buffet since it would offer variety and tourists would experience how delicious Pinoy food is. 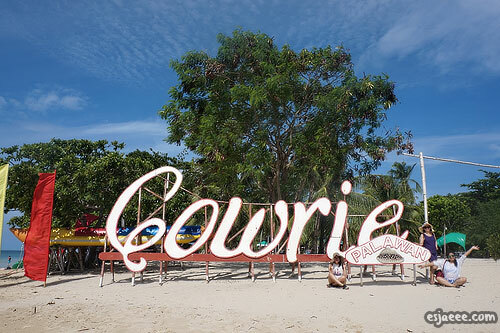 On the brighter side, we had lunch with an amazing view of the beach and the other islands near Cowrie. 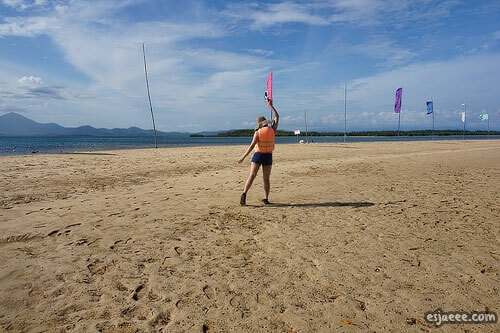 Cowrie Island alone was very picturesque. This alone made me look forward to the other islands we were about to go to. 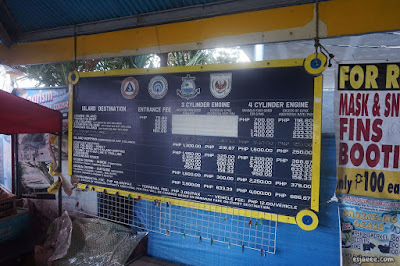 And it is compulsory that we take a photo of all the island signage! 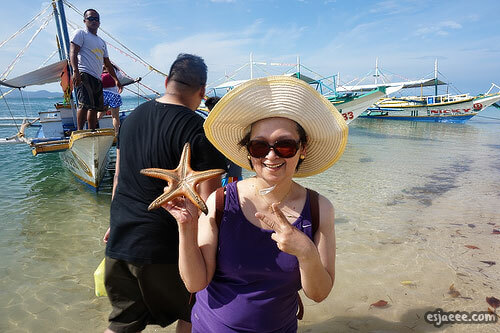 The beach's water was so clear that we can see little creatures like this starfish mom was holding. 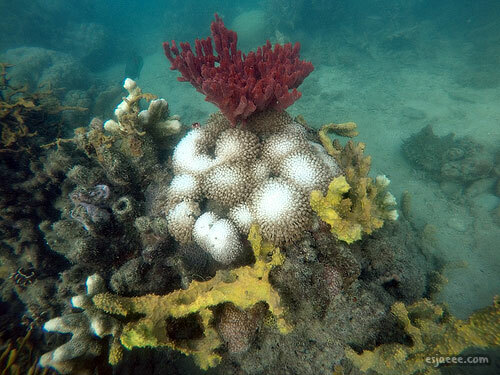 After Cowrie was Luli Island. It took me a couple of minutes to do this pose for this photo to be taken and it was burning hot! I was totally sunburnt but it was totally worth it. 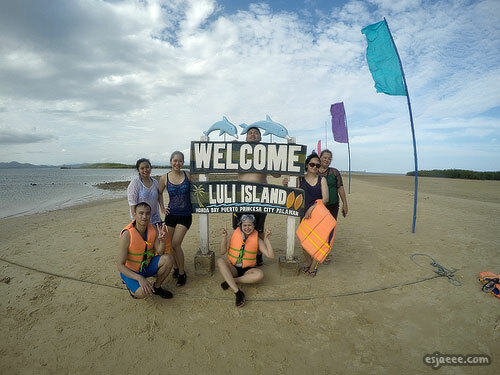 Luli Island is beautiful. 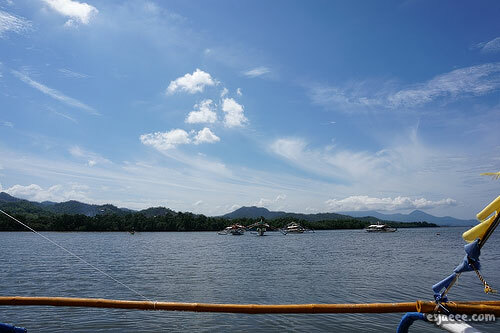 And I do recommend it to those visiting Puerto Princesa. 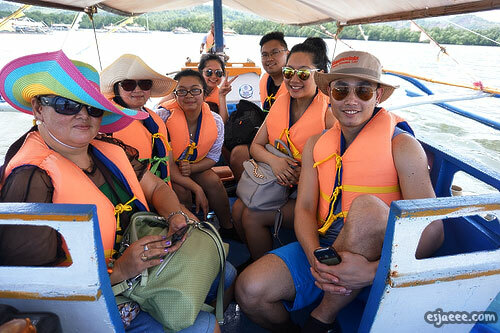 Our boat guide, Nonoy was kind enough to ask us if we wanted a group photo taken. 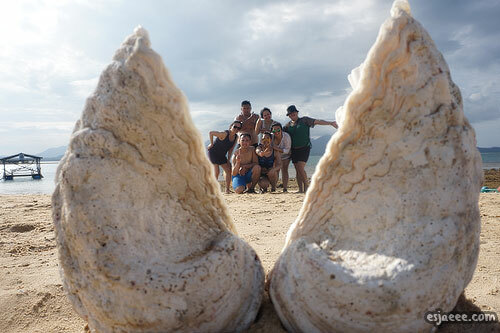 He took us to this spot where we could have this "touristy" photo taken as if we were inside the shells. 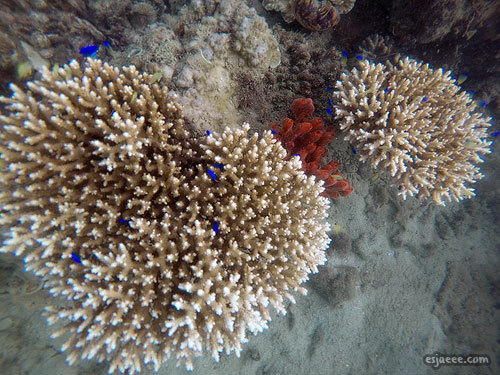 He was also the one taking photos of us snorkelling using my sister's GoPro. 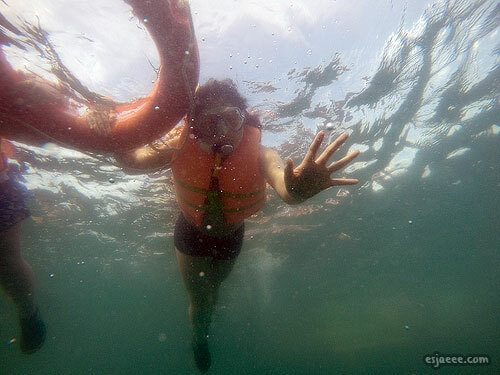 Our boat guide was also our snorkelling guide. 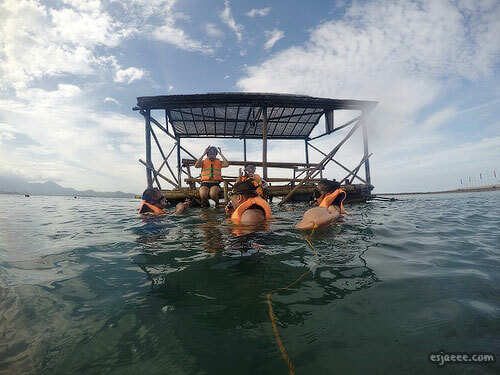 He told us to hold on to the orange floater as he guided us to this little shack in the middle of the sea. He also gave us little biscuits to crush with our hands into tiny pieces to feed the fish. 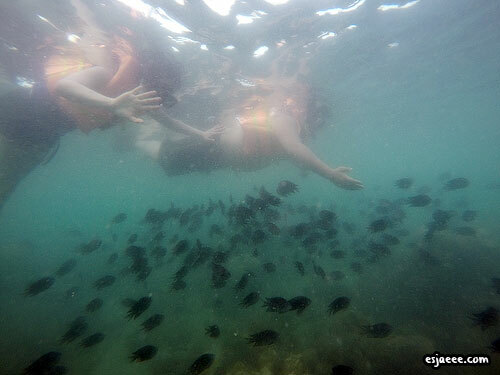 We also swam with these cute, little sea creatures. 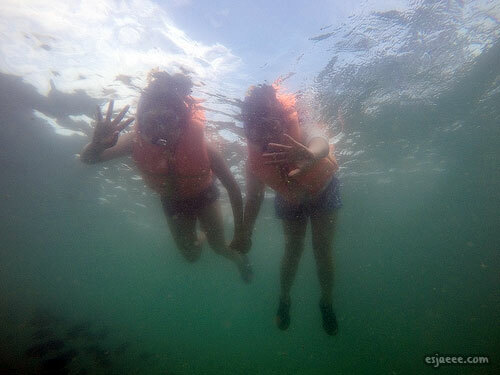 The girls in our group, including me had a Little Mermaid moment. 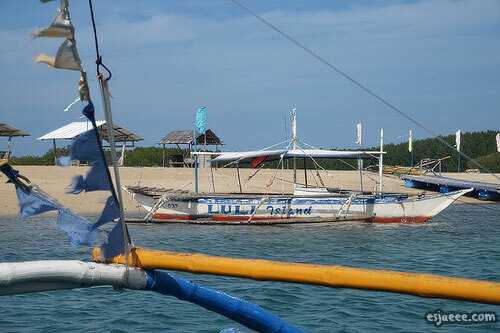 The next "island" we went to was Pambato Reef. It was more like a turtle-shaped shack than an island. 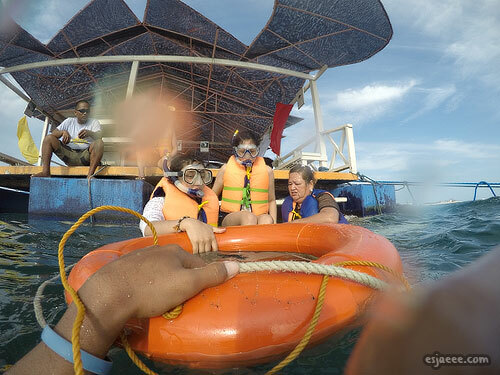 The boat guide took three persons at a time to where the "snorkelling spot" was. The boat guide would go underwater and take photos and he was very patient too since there was 5 of us wanting to get our photos taken. 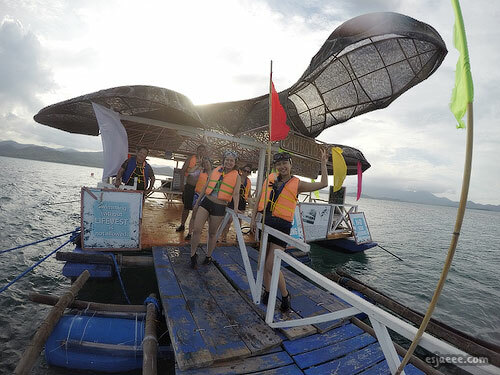 After a couple hours of snorkelling and basking in the sun, we headed back to the dock area since the winds were getting stronger and it was getting darker. 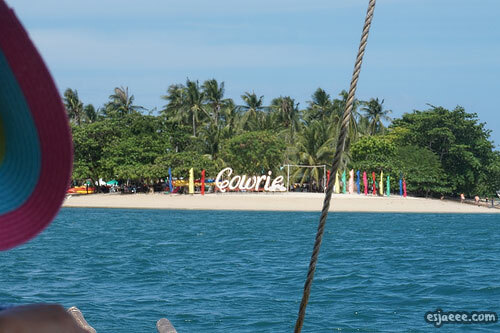 The boat guides advised us to head back since it would be safer since the waves were not that bad yet. 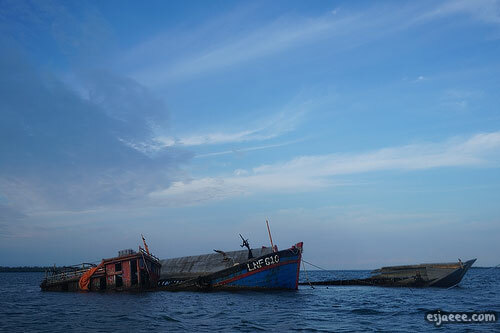 On our way back, we came across these abandoned boats. 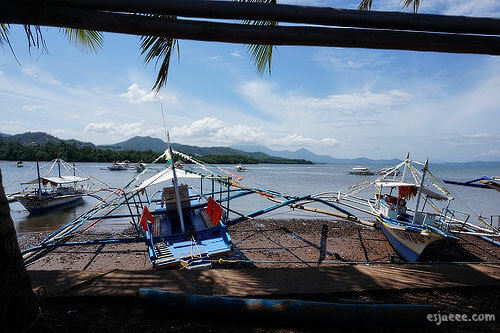 According to them, those boats were abandoned by illegal poachers since Palawan has a policy against poaching. We got back to the reception and there was a shower area, We were just unfortunate that the water was cut off when we were there! Our overall experience was so much fun. I would highly recommend this and we rarely do this kinda thing. This tour is great for families and groups of friends etc. 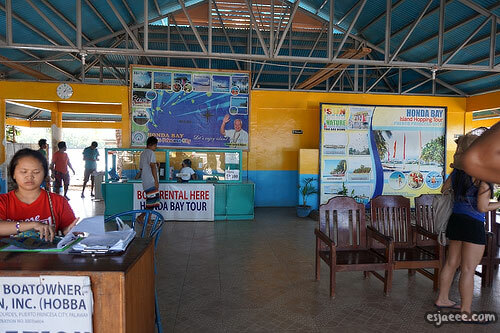 Tipping is not necessary in Philippines but we did tip the boat guide since we really enjoyed their service. They were so nice and whenever we ask them questions about the islands, they would tell us information about them. If you beautiful earthlings are interested in doing this, I would suggest to come earlier than us so that you'd have more time in each island and you don't have to worry about the time and rush. Hmm, I think that's it from me for now. If you have any questions about our tour, don't hesitate to comment. Also, if you enjoyed this post, please let me know in the comments! Don't forget to subscribe to my blog for future updates! 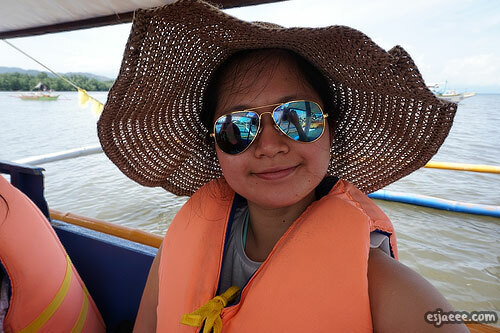 I will be posting our second day adventures next which includes the Underground River tour and Iwahig Firefly watching tour! P.S. All photos with caption "*" were taken from my sister's GoPro camera. 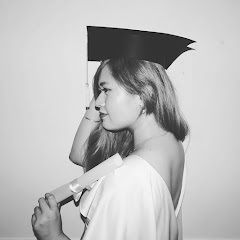 Thank you Steffi for letting me use these photos!